The self-ligating appliances, introduced in the 1930s by Stolzenberg, are bracket systems that do not use ligatures, featuring a built-in mechanical device for closing the slot [1Cacciafesta V, Sfondrini MF, Scribante A, Klersy C, Auricchio F. Evaluation of friction of conventional and metal-insert ceramic brackets in various bracket-archwire combinations. Am J Orthod Dentofacial Orthop 2003; 124(4): 403-9. [http://dx.doi.org/10.1016/S0889-5406(03)00501-8] [PMID: 14560270] ]. The primary advantage of self-ligating brackets is the possibility of generating less friction with the orthodontic wire during tooth movement, allowing orthodontic movements to be achieved with the application of lighter forces, causing less damage to adjacent tissues, besides the less time of chair released in the appointments. However, self-ligating bracket systems have some disadvantages, such as higher cost, possible breakage of the clip or the slide, more occlusal interferences and lip discomfort, and difficulty in finishing the cases [2Chen SS, Greenlee GM, Kim JE, Smith CL, Huang GJ. Systematic review of self-ligating brackets. Am J Orthod Dentofacial Orthop 2010; 137(726): e1-e18. discussion -7[http://dx.doi.org/10.1016/j.ajodo.2009.11.009] ]. In all types of treatment, the widths of the arches increase during alignment with or without extractions. The greater changes occur in the area of premolars, followed by the area of ​​canines and, finally, in the region of molars [3Cattaneo PM, Treccani M, Carlsson K, et al. Transversal maxillary dento-alveolar changes in patients treated with active and passive self-ligating brackets: A randomized clinical trial using CBCT-scans and digital models. Orthod Craniofac Res 2011; 14(4): 222-33. [http://dx.doi.org/10.1111/j.1601-6343.2011.01527.x] [PMID: 22008302] ]. The use of low-friction brackets such as the Damon System, associated with wires of lighter forces produces a greater expansion in the posterior region of the arch, with less alteration in the intercanine distance and position of the mandibular incisor than the conventional appliances [4Damon DH. The rationale, evolution and clinical application of the self-ligating bracket. Clin Orthod Res 1998; 1(1): 52-61. [http://dx.doi.org/10.1111/ocr.1998.1.1.52] [PMID: 9918646] , 5Damon D. Damon system: The workbook 2004.]. There are papers in the literature that evaluated the changes in the transversal measurements of the dental arches in the conventional appliances and the self-ligating system. Most showed that there was no statistically significant difference between the appliances, as both increased the transverse dimensions of the arches, with increased intercanine and intermolar distances, besides proclination and protrusion of the mandibular incisors in both systems, with the self-ligating appliances presenting greater changes in the intermolar distance [6Tecco S, Tetè S, Perillo L, Chimenti C, Festa F. Maxillary arch width changes during orthodontic treatment with fixed self-ligating and traditional straight-wire appliances. World J Orthod 2009; 10(4): 290-4. [PMID: 20072744] , 7Pandis N, Polychronopoulou A, Katsaros C, Eliades T. Comparative assessment of conventional and self-ligating appliances on the effect of mandibular intermolar distance in adolescent nonextraction patients: A single-center randomized controlled trial. Am J Orthod Dentofacial Orthop 2011; 140(3): e99-e105. [http://dx.doi.org/10.1016/j.ajodo.2011.03.019] [PMID: 21889063] ]. Due to the lack of studies comparing the changes with the conventional appliances and the self-ligating Damon System, this work intends to show changes in the dental arches after orthodontic treatment with the two mentioned techniques. This study was approved by the research ethics committee of the UNINGA University Center, Maringá, Brazil, and all patients signed informed consent. The sample calculation was based on an alpha significance level of 5% (0.05) and a beta of 20% (0.2) to achieve 80% test power in order to detect a mean difference of 1.46mm with a standard deviation of 1.66 for the mandibular intercanine and intermolar distances [8Vajaria R, BeGole E, Kusnoto B, Galang MT, Obrez A. Evaluation of incisor position and dental transverse dimensional changes using the Damon system. Angle Orthod 2011; 81(4): 647-52. [http://dx.doi.org/10.2319/071910-420.1] [PMID: 21446870] ], evidencing that 21 patients would be necessary for each group. Initial and final dental casts were selected from 45 patients with previous orthodontic treatment performed at the Darwin Dentistry Institute, Cuiabá, Brasil. The sample was divided into 2 groups, 21 of which were treated with the self-ligating Damon System (Ormco) and 24 with conventional Straight-Wire (A Company) appliances. Individuals selected should have complete permanent denture to first molars, Class I malocclusion, slight to moderate crowding, and non-extraction in the treatment plan. Class II and III malocclusions and complex cases were excluded from the sample. 21 patients of both genders (10 female and 11 male) with initial mean age 18.37 years (SD 6.99), final mean age of 20.48 years (SD 7.26) and treatment time of 2.11 years (SD 0.62) treated with the self-ligating Damon Mx System. The wires used were 0.014 “(CuNiTi), 0.014” x 0.025 “(CuNiTi), 0.018” x 0.025 “(CuNiTi), 0.017” x 0.025 “(TMA), 0.019” x 0.025”(stainless steel), coordinated form of each patient. The diagram was done individually after alignment of the dental arches with the 0.014 “x 0.025” (CuNiTi) wire, with reference to the bite registry in wax 7, and then attached to the patient's chart. 24 patients of both genders (15 female and 9 male) with initial mean age 19.50 years (SD 7.16), final mean age of 21.49 years (SD 7.01), and mean treatment time of 1.99 years (dp 0.55) treated with conventional Straight-Wire (A Company) slot 0.022 “. The wire sequence used in orthodontic treatment was 0.014 “(NiTi), 0.016” (NiTi), 0.016 “(steel), 0.018” (steel), 0.020 “(steel) and 0.019” x 0.025 “(steel). The diagram was made from the WALA border, an anatomical structure constituted by the outermost spatial prominence of the buccal aspect of the mandible, from the initial dental cast [9Andrews LA. Syllabus of Andrews philosophy and techniques 1995.]. In the initial and final dental casts of each case, the following variables were evaluated (Fig. (1 )): intercanine (A, IC), interpremolar (first (B, I1PM) and second premolars (B’, I2PM)), and intermolar distances (first molars (C, IM)) and arch length (D+E, AL). Measurements of the arches dimensions. 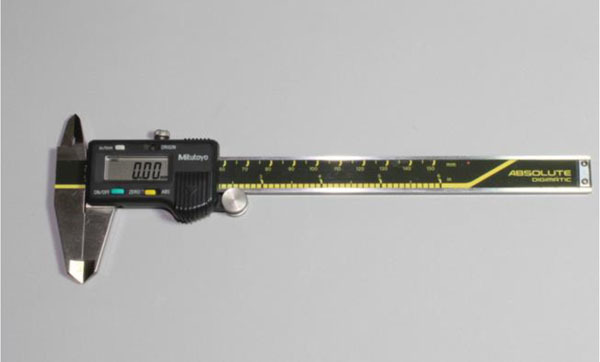 Measurements were performed with the aid of a digital calliper Mitutoyo (Japan) (Fig. (2 )),2with a capacity of 150 mm, capable of measuring up to 0.01 mm. After measuring the variables in the maxillary and mandibular dental casts, the values ​​in the initial and final stages intragroups and intergroups were compared statistically. The systematic and casual errors evaluation was performed using the Dahlberg formula test, respectively, applied to the variables Little, IC, I1PM, I2PM, IM and maxillary and mandibular AL, measured in the dental casts with a time interval of one month. The casual errors ranged from 0.13 to 0.21, with a significant difference in the systematic error of 0.03, in the variable md I1PM. The Shapiro-Wilk test showed the initial values ​​(T1), final (T2) and alterations (T2-T1) for the Damon group and for the conventional group. The data that did not present normality were: in the Damon group, mandibular Little index (0.005), initial value of the maxillary intercanine distance (T1) (0.025) and alteration of the mandibular arch length (T2-T1) (0.007); in the Conventional group, maxillary Little index (0.007) and alteration in the maxillary intercanine distance (T2-T1) (0.001). Table 1 presents the results of the intergroup compatibility of the initial and final ages and treatment time (mean and standard deviation) with the independent t test. Results of the intergroup compatibility of the initial and final ages and treatment time (independent t test). In Table 2, was verified the compatibility results regarding the distribution of genders in groups 1 and 2 by means of the chi-square test. Compatibility results regarding the distribution of genders in groups 1 and 2 (Chi-square test). Table 3 shows the results of intergroup compatibility of the amount of maxillary and mandibular crowding, assessed by the Little irregularity index through the Mann-Whitney non-parametric test. Results of intergroup compatibility of the amount of maxillary and mandibular crowding, assessed by the Little irregularity index (Mann-Whitney non-parametric test). Table 4 presents the results of the intergroup comparison of the dimensions of the maxillary and mandibular dental arches in the initial treatment stage (T1) by means of the independent or non-parametric Mann-Whitney t test. There was no statistically significant difference in any variable. Results of the intergroup comparison of the maxillary and mandibular dental arches dimensions in the initial stage of treatment (T1) (independent t or Mann-Whitney tests). Table 5 shows the results of the intergroup comparison of the dimensions of the maxillary and mandibular dental arches in the final treatment stage (T2) with that of the independent t test. The variables presented a statistically significant difference were: maxillary intermolar distance, mandibular intercanine and inter first premolars, and the Damon group had a mean final tooth dimension larger than the conventional group. Results of the intergroup comparison of the maxillary and mandibular dental arches dimensions in the final stages (T2) (independent t test). Table 6 presents the results of the intergroup comparison of the dimensions of the maxillary and mandibular dental arches between the initial and final stages (T2-T1) using the independent or non-parametric Mann-Whitney t-test. The variables that did not present a statistically significant difference were the maxillary arch length, mandibular inter second premolars and intermolar distance. Results of the intergroup comparison of the maxillary and mandibular dental arches dimensions between the initial and final stages (T2-T1) (independent t or Mann-Whitney tests). For the maxillary intercanine distance, in the intergroup comparison, at the beginning and at the end of the treatment, there was no significant difference in the increase obtained (Table 4 and Table 5). However, when the change of this variable in the initial and final stages was compared between the groups, a statistically significant difference occurred, and the Damon group showed a larger mean increase of 1.22 mm, and the conventional one, 0.08 mm (Table 6). It is speculated that this larger increase in the Damon group is due to the difference of the wire used during the treatment and the diagramming of the arches. Other studies also showed a significant increase with the self-ligating appliances Damon 3 [8Vajaria R, BeGole E, Kusnoto B, Galang MT, Obrez A. Evaluation of incisor position and dental transverse dimensional changes using the Damon system. Angle Orthod 2011; 81(4): 647-52. [http://dx.doi.org/10.2319/071910-420.1] [PMID: 21446870] ] and Smart Clip [10Fleming PS, DiBiase AT, Sarri G, Lee RT. Efficiency of mandibular arch alignment with 2 preadjusted edgewise appliances. Am J Orthod Dentofacial Orthop 2009; 135(5): 597-602. [http://dx.doi.org/10.1016/j.ajodo.2007.06.014] [PMID: 19409342] ]. Some authors [11Canuto LF, de Freitas MR, Janson G, de Freitas KM, Martins PP. Influence of rapid palatal expansion on maxillary incisor alignment stability. Am J Orthod Dentofacial Orthop 2010; 137(164): e1-6. discussion -5[http://dx.doi.org/10.1016/j.ajodo.2009.06.017] ] also achieved the same result in patients treated with conventional brackets, while others [8Vajaria R, BeGole E, Kusnoto B, Galang MT, Obrez A. Evaluation of incisor position and dental transverse dimensional changes using the Damon system. Angle Orthod 2011; 81(4): 647-52. [http://dx.doi.org/10.2319/071910-420.1] [PMID: 21446870] ] reported a significant increase. Regarding the maxillary inter first premolars, comparing the initial and final stages, there was a significant increase in each group studied (Table 4 and Table 5). Other authors also found the same results [8Vajaria R, BeGole E, Kusnoto B, Galang MT, Obrez A. Evaluation of incisor position and dental transverse dimensional changes using the Damon system. Angle Orthod 2011; 81(4): 647-52. [http://dx.doi.org/10.2319/071910-420.1] [PMID: 21446870] ]. In the intergroup comparison, at the beginning and at the end of treatment, there was no significant difference. The Damon group presented a statistically significant higher increase in this distance, with an average of 2.44 mm more than the conventional group, which presented an average increase of 1.06 mm (Table 6). In the intergroup comparison of the maxillary inter second premolars distance, at the beginning and at the end of the treatment, there was no significant difference, the Damon group presented a larger increase, with a mean of 2.27 mm, and the Conventional group, a mean increase of 0.93mm (Table 6). Some authors [11Canuto LF, de Freitas MR, Janson G, de Freitas KM, Martins PP. Influence of rapid palatal expansion on maxillary incisor alignment stability. Am J Orthod Dentofacial Orthop 2010; 137(164): e1-6. discussion -5[http://dx.doi.org/10.1016/j.ajodo.2009.06.017] ] did not find significant alteration of this distance in a group treated with only conventional appliances. However, they found a significant increase in group with the same appliances and rapid maxillary expansion. Other studies [8Vajaria R, BeGole E, Kusnoto B, Galang MT, Obrez A. Evaluation of incisor position and dental transverse dimensional changes using the Damon system. Angle Orthod 2011; 81(4): 647-52. [http://dx.doi.org/10.2319/071910-420.1] [PMID: 21446870] ] showed a significant increase in this measure of 2.77 mm in patients treated with the self-ligating Damon appliances and 2.87 mm in the conventional one. The maxillary intermolar distance presented a significant increase comparing the two groups at the beginning and at the end (Table 4 and Table 5). In the intergroup comparison of the initial and final stages, the Damon group showed a statistically significant increase greater, mean of 1.87mm, and in the Conventional, of 0.71mm (Table 6). Some authors have found similar results [8Vajaria R, BeGole E, Kusnoto B, Galang MT, Obrez A. Evaluation of incisor position and dental transverse dimensional changes using the Damon system. Angle Orthod 2011; 81(4): 647-52. [http://dx.doi.org/10.2319/071910-420.1] [PMID: 21446870] ]. A study [12Ong E, McCallum H, Griffin MP, Ho C. Efficiency of self-ligating vs conventionally ligated brackets during initial alignment. Am J Orthod Dentofacial Orthop 2010; 138(138): e1-7. discussion -9] showed a mean reduction of 0.14 mm of this distance in a group treated with conventional appliances, while in the Damon group, a decrease of 0.25 mm, however, in patients treated with premolars extraction. Other authors [11Canuto LF, de Freitas MR, Janson G, de Freitas KM, Martins PP. Influence of rapid palatal expansion on maxillary incisor alignment stability. Am J Orthod Dentofacial Orthop 2010; 137(164): e1-6. discussion -5[http://dx.doi.org/10.1016/j.ajodo.2009.06.017] ] reported a significant increase for this measure in a group treated with rapid maxillary expansion. This evidence, compared to the present study, that the self-ligating Damon appliances came closer to the results of the cases treated with rapid maxillary expansion, with a significant transverse expansion of the maxillary dental arch. In the maxillary arch length, at the beginning and at the end of treatment, a statistically significant increase was found in both groups, with no significant difference in the initial and final stages between groups. The Damon group presented an average increase of 0.99mm and the conventional one, 1.02mm (Table 6). One study showed an average increase of 2.42 mm in the group treated with Damon appliances and 1.37 mm in the conventional group, even with extractions of premolars [12Ong E, McCallum H, Griffin MP, Ho C. Efficiency of self-ligating vs conventionally ligated brackets during initial alignment. Am J Orthod Dentofacial Orthop 2010; 138(138): e1-7. discussion -9]. Some authors found a statistically significant increase for this measure in a group treated with rapid maxillary expansion, and there was no significant alteration in the treated group without rapid expansion [11Canuto LF, de Freitas MR, Janson G, de Freitas KM, Martins PP. Influence of rapid palatal expansion on maxillary incisor alignment stability. Am J Orthod Dentofacial Orthop 2010; 137(164): e1-6. discussion -5[http://dx.doi.org/10.1016/j.ajodo.2009.06.017] ]. Other researchers [13Taner TU, Ciger S, El H, Germeç D, Es A. Evaluation of dental arch width and form changes after orthodontic treatment and retention with a new computerized method. Am J Orthod Dentofacial Orthop 2004; 126(4): 464-75. 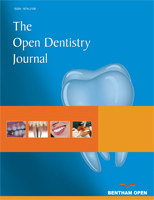 [http://dx.doi.org/10.1016/j.ajodo.2003.08.033] [PMID: 15470349] ] reported a significant reduction in Class II patients treated without extraction, as well as with premolar extractions and without rapid maxillary expansion [14Martins PP. Avaliação da influência da expansão rápida da maxila sobre a recidiva do apinhamento ântero-superior em casos tratados ortodonticamente com extrações de pré-molares.2007.]. However, increased arch length should be observed with caution, as it may indicate the occurrence of a protrusion of the incisors rather than a lateral expansion of the arch, as expected in cases treated with self-ligating brackets. For the mandibular intercanine distance, in the intergroup comparison, at the beginning and at the end of the treatment, there was a significant difference at the end, and the Damon group presented this greater distance (Table 4 and Table 5). In the comparison between groups, in the initial and final stages, the Damon group also showed a statistically significant mean increase of 1.16 mm, while the conventional group had a small decrease of 0.19 mm (Table 6). Although not statistically significant, the Damon group presented a greater mandibular anterior crowding than the conventional group (Table 3). Some studies [8Vajaria R, BeGole E, Kusnoto B, Galang MT, Obrez A. Evaluation of incisor position and dental transverse dimensional changes using the Damon system. Angle Orthod 2011; 81(4): 647-52. [http://dx.doi.org/10.2319/071910-420.1] [PMID: 21446870] ] found a significant increase of this distance in both the Damon group, with a mean of 2.24 mm and in the conventional group, with a mean of 1.85 mm. Others also found an average increase of 2.55mm in the Damon group and in the Conventional group, 2.66 mm [15Scott P, DiBiase AT, Sherriff M, Cobourne MT. Alignment efficiency of Damon 3 self-ligating and conventional orthodontic bracket systems: A randomized clinical trial. Am J Orthod Dentofacial Orthop 2008; 134(470): e1-8. [http://dx.doi.org/10.1016/j.ajodo.2008.04.018] ]. There are papers showing a statistically non-significant increase of this measure for the self-ligating and conventional groups [10Fleming PS, DiBiase AT, Sarri G, Lee RT. Efficiency of mandibular arch alignment with 2 preadjusted edgewise appliances. Am J Orthod Dentofacial Orthop 2009; 135(5): 597-602. [http://dx.doi.org/10.1016/j.ajodo.2007.06.014] [PMID: 19409342] , 16Pandis N, Polychronopoulou A, Eliades T. Self-ligating vs conventional brackets in the treatment of mandibular crowding: A prospective clinical trial of treatment duration and dental effects. Am J Orthod Dentofacial Orthop 2007; 132(2): 208-15. [http://dx.doi.org/10.1016/j.ajodo.2006.01.030] [PMID: 17693371] ]. A decrease of 1.96mm in the Damon group and 2.86mm in the conventional one, both with premolar extractions, was also reported [12Ong E, McCallum H, Griffin MP, Ho C. Efficiency of self-ligating vs conventionally ligated brackets during initial alignment. Am J Orthod Dentofacial Orthop 2010; 138(138): e1-7. discussion -9, 13Taner TU, Ciger S, El H, Germeç D, Es A. Evaluation of dental arch width and form changes after orthodontic treatment and retention with a new computerized method. Am J Orthod Dentofacial Orthop 2004; 126(4): 464-75. [http://dx.doi.org/10.1016/j.ajodo.2003.08.033] [PMID: 15470349] ]. In the assessment of the mandibular inter first premolars distance, in the intergroup comparison, at the beginning and at the end of the treatment, there was a significant difference between the groups at the end of the treatment, and the Damon group presented this greater measure than the conventional one (Table 4 and Table 5). In the intergroup comparison of the initial and final stages, the Damon group also showed a larger increase of this distance, with a mean of 1.88mm, compared to the Conventional group, with a mean of 0.66mm (Table 6). A similar result was found by other authors [8Vajaria R, BeGole E, Kusnoto B, Galang MT, Obrez A. Evaluation of incisor position and dental transverse dimensional changes using the Damon system. Angle Orthod 2011; 81(4): 647-52. [http://dx.doi.org/10.2319/071910-420.1] [PMID: 21446870] , 9Andrews LA. Syllabus of Andrews philosophy and techniques 1995.]. However, there are studies showing a larger increase for the conventional appliances, although statistically not significant [10Fleming PS, DiBiase AT, Sarri G, Lee RT. Efficiency of mandibular arch alignment with 2 preadjusted edgewise appliances. Am J Orthod Dentofacial Orthop 2009; 135(5): 597-602. [http://dx.doi.org/10.1016/j.ajodo.2007.06.014] [PMID: 19409342] ]. Regarding the mandibular inter second premolar distance, in the intergroup comparison, at the beginning and at the end of treatment, there was no significant difference (Table 4 and Table 5). Comparing between the groups, the initial and final stages, there was no statistically significant increase of the Damon group in relation to the Conventional group (Table 6). Some studies showed an increase in this distance in both the Conventional and SmartClip treated groups, while others found a statistically significant increase in both the Conventional group and the group with the Damon appliances [8Vajaria R, BeGole E, Kusnoto B, Galang MT, Obrez A. Evaluation of incisor position and dental transverse dimensional changes using the Damon system. Angle Orthod 2011; 81(4): 647-52. [http://dx.doi.org/10.2319/071910-420.1] [PMID: 21446870] , 10Fleming PS, DiBiase AT, Sarri G, Lee RT. Efficiency of mandibular arch alignment with 2 preadjusted edgewise appliances. Am J Orthod Dentofacial Orthop 2009; 135(5): 597-602. [http://dx.doi.org/10.1016/j.ajodo.2007.06.014] [PMID: 19409342] ]. In the intergroup comparison of the mandibular intermolar distance, at the beginning and at the end of the treatment, there was no significant difference in the increase between the two groups, as well as in the initial and final stages, with the mean increase in the self-ligating appliances being 0.97 mm and, in the conventional one, of 0.50mm (Table 6). Some studies demonstrated an increase in both groups, and, similarly, in a study of patients treated with premolars extraction [8Vajaria R, BeGole E, Kusnoto B, Galang MT, Obrez A. Evaluation of incisor position and dental transverse dimensional changes using the Damon system. Angle Orthod 2011; 81(4): 647-52. [http://dx.doi.org/10.2319/071910-420.1] [PMID: 21446870] , 12Ong E, McCallum H, Griffin MP, Ho C. Efficiency of self-ligating vs conventionally ligated brackets during initial alignment. Am J Orthod Dentofacial Orthop 2010; 138(138): e1-7. discussion -9, 16Pandis N, Polychronopoulou A, Eliades T. Self-ligating vs conventional brackets in the treatment of mandibular crowding: A prospective clinical trial of treatment duration and dental effects. Am J Orthod Dentofacial Orthop 2007; 132(2): 208-15. [http://dx.doi.org/10.1016/j.ajodo.2006.01.030] [PMID: 17693371] ]. Other authors found an average increase of this distance of 1.41 mm with self-ligating Smartclip brackets and 0.50 mm with the conventional appliances [10Fleming PS, DiBiase AT, Sarri G, Lee RT. Efficiency of mandibular arch alignment with 2 preadjusted edgewise appliances. Am J Orthod Dentofacial Orthop 2009; 135(5): 597-602. [http://dx.doi.org/10.1016/j.ajodo.2007.06.014] [PMID: 19409342] ]. An average increase of 0.63 mm in group with conventional appliances and a small decrease of 0.09 mm in the Damon group treated with extractions was also found [15Scott P, DiBiase AT, Sherriff M, Cobourne MT. Alignment efficiency of Damon 3 self-ligating and conventional orthodontic bracket systems: A randomized clinical trial. Am J Orthod Dentofacial Orthop 2008; 134(470): e1-8. [http://dx.doi.org/10.1016/j.ajodo.2008.04.018] ]. In the comparison of the initial and final stages, the increase of the mandibular arch length was statistically significant only in the conventional group (Table 4 and Table 5). In a study, a mean reduction of 1.33 mm in the length of the mandibular arch in the conventional appliances group and of 2.27 mm in the Damon appliances group was obtained, whose treatment was carried out with extractions [15Scott P, DiBiase AT, Sherriff M, Cobourne MT. Alignment efficiency of Damon 3 self-ligating and conventional orthodontic bracket systems: A randomized clinical trial. Am J Orthod Dentofacial Orthop 2008; 134(470): e1-8. [http://dx.doi.org/10.1016/j.ajodo.2008.04.018] ]. Other authors found an average increase of 1.69mm in the Damon group and 1.08mm in the group of patients treated with conventional appliances, both treated with dental extractions [12Ong E, McCallum H, Griffin MP, Ho C. Efficiency of self-ligating vs conventionally ligated brackets during initial alignment. Am J Orthod Dentofacial Orthop 2010; 138(138): e1-7. discussion -9]. In the intergroup comparison, at the beginning and at the end of treatment, there was no significant difference. In the initial and final stages, the Conventional group had a statistically significant increase greater than 1.83 mm and Damon group, 0.69 mm (Table 6). This increase may be caused by the expansion of the first molar region or the protrusion of the incisors. As the Damon group showed a greater expansion in the first molars region and a smaller increase of the bow length compared to the Conventional group, it is speculated that the Damon treatment less protrudes the mandibular incisors than with the conventional appliances. Regarding torque, since both appliances were pre-adjusted, patients presented similar malocclusions and were treated similarly, torque was not really a differential in these cases. Maybe cases with greater increase in transversal arch dimensions present more buccal inclination of posterior teeth and then need more palatal torque of these teeth. Since Damon showed greater transversal increase, more palatal torque must be needed. However, Damon had showed in a previous research to express more torque than the Roth preadjusted appliance used in this study [17Franco EM, Valarelli FP, Fernandes JB, Cançado RH, de Freitas KM. Comparative study of torque expression among active and passive self-ligating and conventional brackets. Dental Press J Orthod 2015; 20(6): 68-74. [http://dx.doi.org/10.1590/2177-6709.20.6.068-074.oar] [PMID: 26691972] ]. This way, torque will be well controlled in these cases. The results found in the present study must be considered only for Class I cases with slight to moderate crowding. One has to remember that Class II and II malocclusions and complex cases were excluded from this sample. The alterations found for the amount of increase of the dimensions of the maxillary dental arch, between treatments with the Damon and conventional appliances, were approximately 1mm more expansion for the self-ligating Damon System. This difference may be considered small and not as clinically significant. In the mandibular arch, the discrepancies were found only at the intercanine and interpremolar distances, and the increase was also greater in the group treated with the self-ligating Damon appliances, and also about 1 mm. In the arch length, the increase was slightly more than 1mm in the group treated with the conventional appliances, indicating perhaps a greater protrusion of the mandibular incisors in this group. The largest increase in the maxillary arch in the Damon group develops the bone density of the maxilla, thus allowing a greater expansion of the dental arch, when they are known as expanded thermoactivated Cupper-Niti superelastic, as pre-conceived by this technique. In the mandibular arch, where the bone is denser, a larger expansion in the Damon group compared to conventional, not available in all regions of the arch, even with the use of wires above. The bone biology has proved imperative, and must be respected. As for the differences in the treatments with the two types of appliances, the results and the interpretation of the same and the methodology used show us the importance of the diagram. 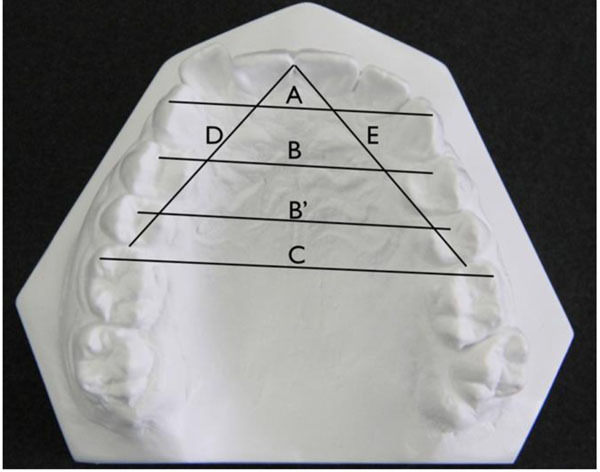 Using diagrams based on the initial arch shape of each patient, as performed in the conventional group, we obtained a smaller expansion of the dental arches than with a diagram constructed after the initial Cupper-Niti wire leveling, as in the Damon group. When planning an orthodontic treatment, the choice not only of the appliances, but of the wires and the diagram to be used should be according to the desired effects on the dental arches. When a greater expansion of the arch and perhaps a protrusion of the mandibular incisors are desired, it is recommended to use the self-ligating Damon System with Cupper-Niti expanded arches, and the diagram as advocated by this technique. When the expansion of the dental arches is contraindicated, or not desired, it is recommended to use the conventional appliances, using the diagram based on the initial arch shape of each patient. Based on the results obtained for the studied sample, it was possible to conclude that, comparing the two groups, the self-ligating Damon appliances promoted a significantly larger increase of the dimensions of the maxillary arch than the conventional appliances, except for the arch length. In the mandibular arch, the Damon appliances promoted a greater increase in the intercanine and interpremolar distances than the conventional appliances. The mandibular arch length showed a significantly higher increase in the conventional group compared to the Damon group. This study was approved by the research ethics committee of the UNINGA University Center, Maringá, Brazil. No Animals were used in this research. All human research procedures followed were in accordance with the ethical standards of the committee responsible for human experimentation (institutional and national), and with the Helsinki Declaration of 1975, as revised in 2008 (http://www.wma.net/en/20activities/10ethics/10helsinki/). Damon D. Damon system: The workbook 2004. Andrews LA. Syllabus of Andrews philosophy and techniques 1995. Martins PP. Avaliação da influência da expansão rápida da maxila sobre a recidiva do apinhamento ântero-superior em casos tratados ortodonticamente com extrações de pré-molares.2007.